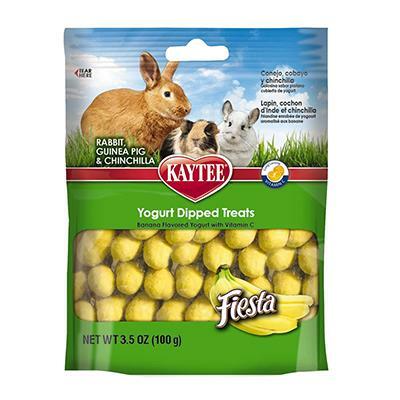 Kaytee Banana Yogurt Dips are crunchy fortified nuggets with a smooth, delicious, fruit flavored yogurt coating. 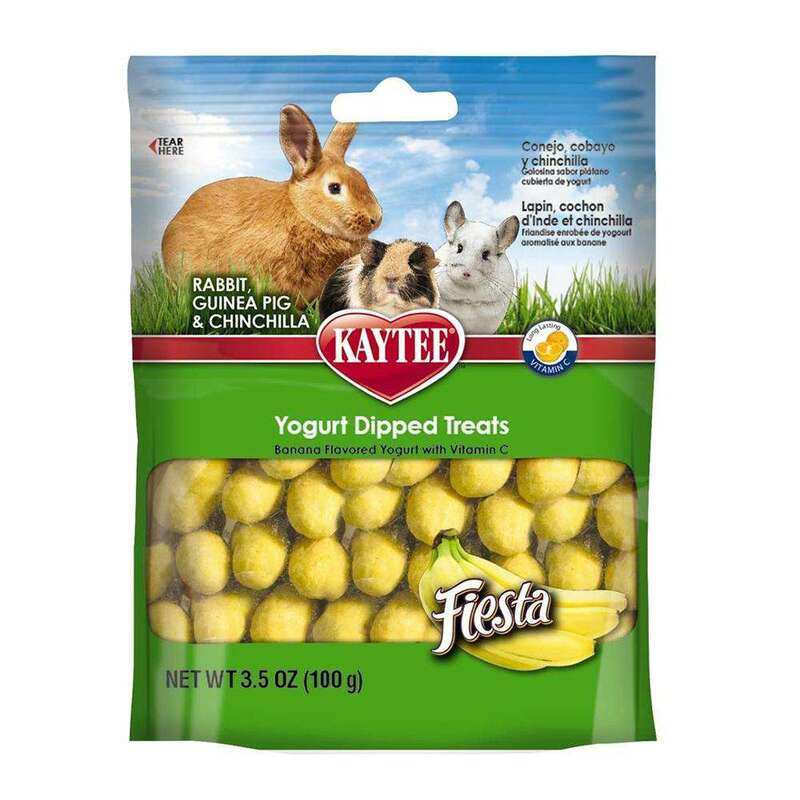 Yogurt Dips are healthy and fun to eat for your Rabbit or Guinea Pig. Net Weight: 3.5 oz (100g) package.